We offer High Tensile Fasteners. Explore our wide range of High Tensile Fasteners (8.8 and 10.9 Grade). Manufactured with adherence to highest quality standards, our range finds application in different industries. These fasteners including nuts, bolts and washers, are admired by our clients for their uniform threading, dimensional. Our customers can avail from us an excellent quality range of High Tensile Fasteners. The range offered by us are available in different forms, sizes and dimensions to fulfill the various requirements of our clients. Renowned for their durability and reliability, these have become a preferred choice. We are offering high-end quality of High Tensile Fastener to our clients. 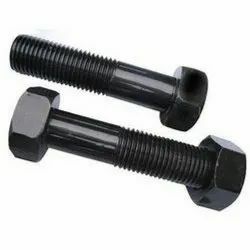 These High Tensile Fastener are used for creating threading without need of hole drilling. To ensure their quality, these fastener are stringently tested on various parameters. We are immensely trusted by our customers for making and supplying a huge range of High Grade Screws in Ludhiana, Punjab, India. The High Grade Screws offered by us are the creative combination of highly . We are one of the leading organizations, engaged in manufacturing premium quality High Tensile Fasteners. We offer an extensive range of High Tensile Hex Screws which is manufactured in accordance with the latest technical developments in the industry. These are available in different standards & various types of metals including alloys and widely used in the variety of applications.